This impressive 40.41 M sailing yacht has joined G-Yachts brokerage fleet at an asking price of 11.5 M €. Built by the renowned Perini Navi shipyard in 2001. ELLEN has a long-standing and a flawless reputation on the market. Perini Navi is responsible for her superior engineering and elegant interior in warm cherry with exquisite carvings. She underwent major refits between 2014-2015 that restored her original glory. 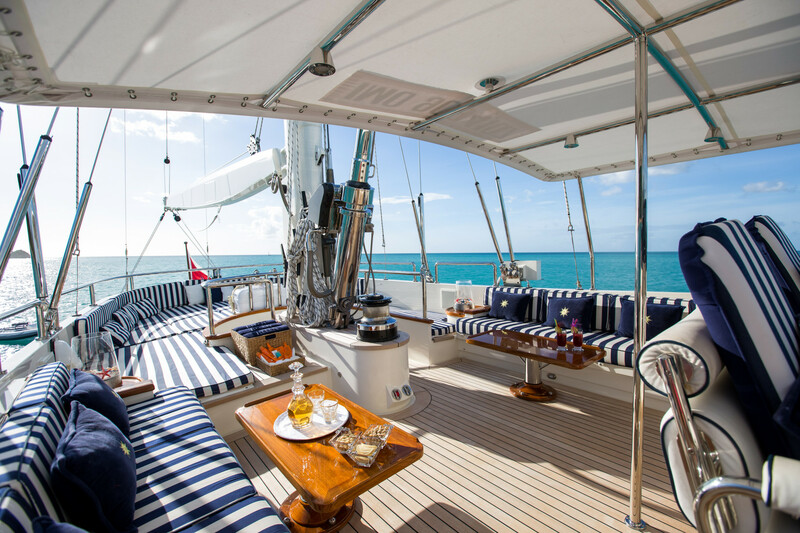 Mixing comfort and elegance like no other, ELLEN offers spacious living areas and accommodates 8 guests in four staterooms. She offers guests an impressive selection of water toys including windsurf gear, a kayak, a wake board and more. The yacht was recently refit to a very high standard. ELLEN is in turn-key condition ready to cruise with her new owner on board. For more information about this yacht do not hesitate to contact our sales brokers team.